Last week we spent a day staying with friends in the next street - escaping the sounds of chainsaws next door. In the afternoon, a flash of movement caught my eye. My subconscious promptly identified the bird that settled on the neighbouring roof as a kingfisher; my conscious mind was doubtful. Surely kingfishers don't have such stunning irridescent plumage?! Then it turned and showed me its distinctive beak. 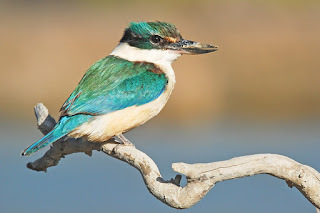 No doubt about it: the bird was definitely a kingfisher!